Considering paying for reviews, getting friends and family to leave reviews, or even a ‘review swap’? Snap out of it! Google Gold Product Expert Jason Brown is here to explain how these schemes could ending up tanking your reviews, and offers some legitimate and proven tactics to generate reviews as alternatives. Every business wants to increase the number of online reviews that they have. Whether the goal is to have more reviews than the competition, to repair your overall rating or simply to rank in or higher in the map pack, every business is looking into ways to get reviews. But you need to be smart about your strategy or you may find yourself renting reviews. If Google catches you running an illegal review scheme, and they will, they will delete all of your reviews connected to the review scheme. The FTC also regulates online reviews. Google follows suit and has made review contests a violation of their Terms of Service. Before you stop reading this and say “I won’t get caught,” you need to know that Google receives multiple reports of review schemes every day. Your business could be next. As a Google My Business Gold Product Expert (formerly the Top Contributor program), I answer business owner’s questions and advise individuals on how to navigate Google My Business issues. On a daily basis, I watch as business after business gets reported for ill-gotten reviews. I’ve seen reports made by marketing professionals, competitors, disgruntled employees, and upset customers. There is more potential to get caught than there is to hide forever. If you’re like me, and spy on your competition to see what they’re up to, the chances are that one of your many competitors or their marketing company is spying on or monitoring your business. Review contests are very popular and extremely illegal. The premise of this scheme is to enter the reviewer into a giveaway once they leave a review. I see this a lot with dentists and orthodontists. One dentist ran their review contest twice and both times they were reported to Google. It doesn’t matter if you say any reviewer can qualify to enter (rather than just positive reviews), the fact that you are offering an incentive for the review violates Google’s TOS and so they will negate the contest. I would bet that this email was in the process of being sent as the dentist set up the second review contest. You cannot offer a reviewer any discount on services or products in exchange for reviews. 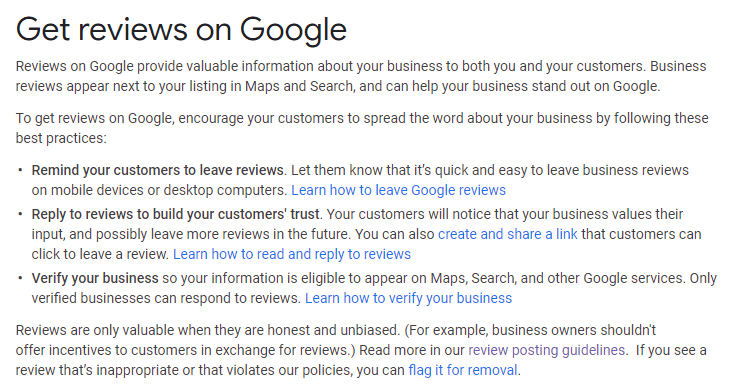 One business I’m aware of offered all of their customers a 10% savings on their next purchase for leaving a review, so Google went and deleted two years’ worth of reviews. I’ve also seen a thread where a business thanked everyone with a free drink after leaving a review. Google deleted over 400 reviews. Those 400 individuals still kept their free drink after their reviews were deleted by Google. I see review swaps the most in the legal niche. A review swap is basically where “you review me” and “I’ll review you”. I see it a lot when looking at a GMB listings for lawyers. One reviewer, who is also a lawyer, left reviews for several lawyers in different states. When Google sees reports of these types of reviews, they delete them. This is the worst advice out there and it needs to be stopped. As I stated in ‘review swaps’ above, your friends and family reviews are posted to manipulate your ratings. I see this a lot: a GMB listing has 7 reviews, all posted 8 months ago, and new reviews ever get posted. Potential customers want to see fresh and relevant reviews. Customers want to know how the business currently is and not how they were a year ago. In their most recent Local Consumer Review Survey, BrightLocal found that 77% of consumers think that online reviews older than 3 months aren’t relevant. Review-gating is not a new policy, but Google has just reiterated their stance on this practice. Review-gating is when a customer fills out a survey and, if they score high enough, they are asked to post a review online, but if the customer scores the business too low, they are asked to provide private feedback only. When Google receives reports of businesses review-gating, they delete all of their reviews (not just the ones deemed to violate TOS). Your reputation management tool provider doesn’t get dinged, the business’ GMB listing does. They keep your money while all of your reviews are deleted and gone forever. Remember that you can’t stop an upset customer from posting negative feedback online. They will find a way to share their experience online. You also need negative feedback so that you can grow and improve your business, and also to make your review profile more believable. (100+ 5-star reviews? Something’s up there.). Receiving reviews is like going to the doctor for a check-up. The doctor will tell you all the positives and the areas you need to improve upon. If your doctor doesn’t inform you that you need to lower your cholesterol, they are doing you a disservice. You also can’t completely stop an upset customer from sharing their feedback. If they are upset enough, they might report you to Google. All of the above review schemes simply don’t work long-term. While they may have quick results, they merely open up your business to a possible fine from the FTC and review deletion from Google. Google will and does email businesses involved in illegal review schemes. This is not the attention you want from Google. If you give away a television or an iPad to solicit reviews and Google deletes all of your reviews, you’ll realize you just rented reviews for a short time. It would have been cheaper to sign up for BrightLocal’s new Reputation Management tool. If an iPad costs $329 USD and BrightLocal’s reputation tool costs $8 USD, a business could safely request reviews for 41 months. That is almost 2 years’ worth of legitimate Google My Business reviews that will remain and won’t be deleted by Google. When it comes to reviews, I tell all new brick and mortar businesses that they should be getting 5 to 10 new reviews per month. This really isn’t that hard if you train your staff to listen to your customers. If a customer says how great the service is, ask them to share that feedback online and leave your business a Google review. If a business gets 10 customers a day, that’s 50 to 70 people per week. The odds are in your favor to get at least one of those customers to leave you a review online. It’s the law of averages and it will work out in your favor. You and your staff just need to ask. You can run a contest among your employees to see who can get the most reviews. This can also get your employees to start focusing more on their customer service skills and the level of service they provide. After all, how are you going to get a review if you don’t ask for it? Reviews are about the customer experience. They should never be looked at as “I need X amount of reviews to rank higher, have more reviews than my competitor or to repair my reputation”. That’s the incorrect thinking businesses have when it comes to reviews and that thinking is a recipe for disaster. …and so they respond in a rude and unprofessional manner to the review publicly. A negative review is an opportunity to plead your case and get the customer to contact you to resolve the complaint. Google notifies the reviewer of your reply too. The goal of your reply is to persuade the user to contact you and work out a resolution. As consumers are reading more reviews, they are also reading the replies to reviews. If you sound angry in your reply, it will do more harm than good, and that reviewer will not contact you to resolve the issue. The bottom line is that your business needs customers to stay in business. If you’re not monitoring your reviews and replying in a polite and professional manner, your potential customers will go elsewhere. You need to take a deep and serious look at your reviews and address any areas customers are not happy with. One business I have been monitoring for two years officially closed in October 2018. They never addressed the underlying causes of their negative reviews. Instead, they focused on a review scheme to combat the negative reviews. It didn’t work the restaurant wasn’t saved. Only you can save your business. Will you? Jason Brown is SEO Manager at Over The Top Marketing and a Top Contributor on the Google My Business forum. He spends his free time battling fake online business reviews. He can be found on Twitter @keyserholiday. A compelling email newsletter can be a very powerful tool for restaurants. They can inform customers about latest dishes and events and promote a restaurant’s unique personality to differentiate from other restaurants. But how can you ensure that you are creating an effective newsletter? You have a sizeable customer email list and are reaching out to your customers on a regular basis. Now what? How do you ensure that your newsletter stands out from the other newsletters your customers receive on a daily basis? Having a vibrant image and a convincing call-to-action can help give your newsletter that edge! Once you have picked an image, are your email newsletters actually bringing customers back to your restaurant? Are you engaging your customers with content that leaves them wanting to do something about it? Ensuring that your email newsletter is effective in bringing customers back through an exciting and convincing call-to-action is the next important step in promoting your business. Start with the most important information. For example, if there’s an upcoming special or event on Tuesday night, state all the details pertaining to it. This should include the date, time, and specials your customer will get from attending. A good subject title would be, “Enjoy $1 tacos this Taco Tuesday!” This title works because it’s personal, direct, and simple. Exactly what a customer wants. You are also being explicit in the benefit your customer will get for going to your restaurant on Tuesday. Customers want to feel special. Personalized and exclusive offers given to them because they are on your mailing list will make them feel that way. This gives them a feeling of being rewarded while also making it easier for you to track the results of your marketing campaign. It’s a win-win! Still, some people receive hundreds of emails a day. How do you stand out? There are some general rules of thumb to ensure that your communication doesn’t get lost on its way to a customer. Start with a click-worthy subject line. Be sure to keep it short, sweet and enticing. You have about 5 seconds to grab their attention, so make it count! Sometimes a restaurant email newsletter promotes more than just specials, it’s a reminder of how great your restaurant is to customers who haven’t visited in awhile. Spreading the word about an update in your menu or changes to your restaurant’s look will encourage them to come back. You can also highlight positive reviews of your restaurant such as a favorable quote from a recent customer. This reinforces that same feeling amongst other customers, encouraging them to write their own positive review or even just to return to your restaurant. Following these steps ultimately helps in the reputation management of your restaurant. Lastly, don’t forget to make the newsletter personal. If you have their names, include them. Adding a personal touch to your newsletters will make customers feel special and more inclined to go back to your restaurant. A great example would be “Happy Hump Day, Alex! Next drink on us.” It’s personal, direct and simple, and your customer is incentivized to click on it. Knowing what to include in a newsletter is only half the battle; doing it on a regular basis is what can really save you time. Entrepreneur Magazine noted that many companies are seeing open rates on their newsletters as low as 5 percent. 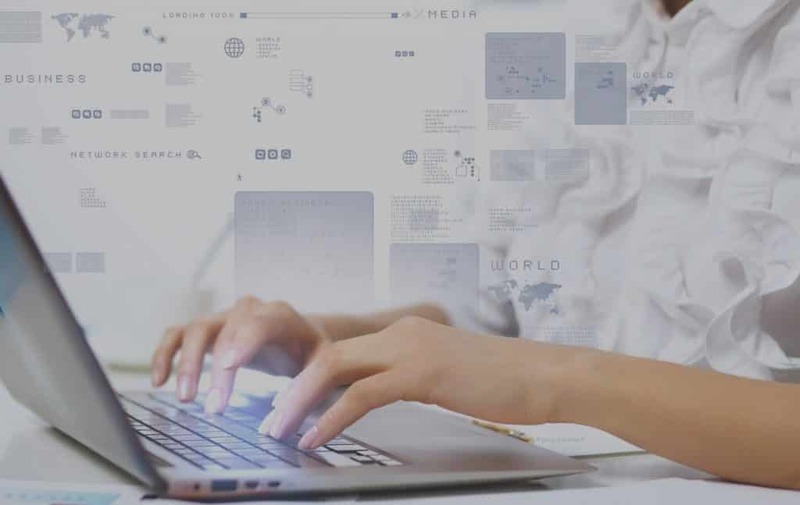 However, if you are able to leverage marketing automation with the right tools, you will be left with more time to think about the content of your newsletter and execute it effectively. An automated marketing platform not only helps you easily build your email marketing database, but it can help create and schedule your emails both simply and automatically. Zenreach is an example of such a platform. Not only does Zenreach let your customers sign into your portal and receive a customized WiFi experience, it allows them to participate in your restaurant’s special offers and deals. Still not convinced? Sign up for a free Zenreach trial today and see how a marketing automation platform can grow your business in just 30 days! How does your reputation online affect your business offline? We live in a day and age where consumers openly air their complaints online for all to see. Ask any business owner to think back to a negative review left online, and they’ll sigh, wishing they could have resolved their customer’s concern privately before public and permanent damage to their reputation was done. Studies show that businesses risk losing 22% of business when potential customers find one negative article on the first page of their search engine results. Two negative reviews on the first page? 44% lost. Four or more? You could lose up to 70% of potential customers. Do you ever get an email and think “what was the point of sending me this?” It wasn’t informative. It didn’t tell you anything you didn’t already know. It wasn’t actionable. So what exactly were you supposed to do with it? If you run a bar, it’s never too early to start thinking about football season. We all want to make sure our spot is the go-to place to watch every game. So how do you get fans in the door? And how do you keep them coming back for more? Special offer: Sign up between now and March 31, 2018, to receive a free first month and we’ll waive the cost of the access point (a $199 value). Sign up now.